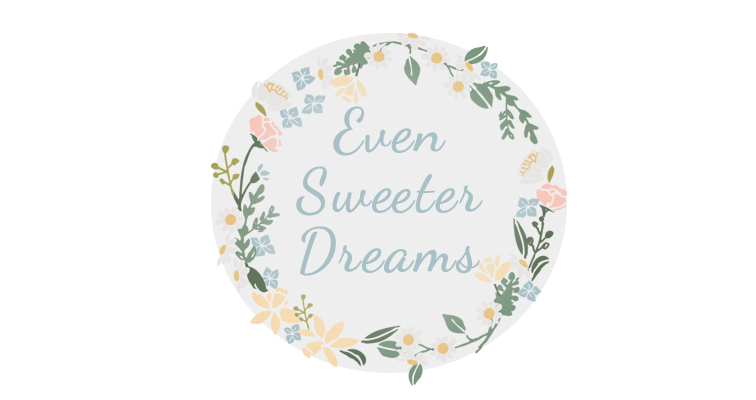 Even Sweeter Dreams: Liebster award times two! Hi my friends! 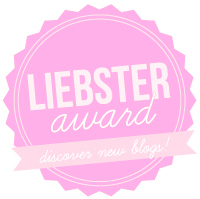 I have been nominated for two Liebster awards by the lovely Aubree from Macarons and Stilettos and by Robin from Fluster Buster! How amazing is that?! So that means alot of random facts about me and alot of answered questions! My nominees are in the list below, along with my questions for my nominees! Thanks for the nomination lovely friends!! edit: I don't know why the lay out of this post is so weird,some of the lettering is a bit off, sorry for this! Why did you start blogging in the first place? What inspired you to write? I thought it would be fun to have an outlet and to share my world with others. I first found Kate Gabriel’s blog Scatchingly Brilliant and was really inspired by that. That made me decide to go for it. What's your "day job". And, more importantly, is it the job you wanted? Starting next week I will be an assistant baker at a local bakery! Go shopping with my mum, go biking with my dad and then a lunch with friends, all with sunshine. Do you like to craft or diy? If so, what do you like making the most? I love crafting. I like making jewelry and cards the most. When you are stressed, what makes you feel better? Good music helps out alot, and just put on my ipod and dance around my house! Do you remember one of your favorite moments in blogging? What was it? 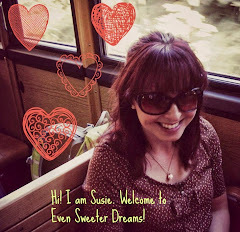 When I first blogged about my dream of opening my own sweets shops (ice cream dream). The response was amazing! If you had to choose, what would be the one clothing item that you could never live without? My slippers, I have warm slippers in the shape of sheep and I can’t do without them! What makes your favorite blogs so addictive? Favorite music genre, artist or song? Oh wow, I could go on about this one forever! I love rock music. Bands like My Chemical Romance, LostAlone, The Killers, Kings of Leon,30 Seconds to Mars, Linkin Park, Oasis, Triggerfinger, Blood Red Shoes My favourite bands are of a quite different sort though I love Hanson and Take That. But also folk like Bon Iver, Mumford and Sons. And of course Coldplay! I told you it would be a long list! What are you looking forward to this spring or summer? Going to Venice! And just enjoying the sun, with lots of great festivals! It seemed like a fun outlet of my creativity and the share my thoughts and my world! Going to a country or city I have never been before, discover new things and cultures. With either a friend or my parents and with sunshine! I am not from USA, so I will name the countries I have visited: Belgium, France, England, Spain, Austria, Swziterland, Germany and Liechtenstein. Soon Italy will be added too! By far the Lord of the Rings trilogy and now The Hobbit. By I am a Potter fan too! I like cauliflower and broccoli. Easter! That means spring is in the air!! Do you like cooking on Gas or Electric? Gas, it’s slower but I don’t mind! 1 As a kid I wanted to be a ballerina. I have had ballet lessons for 13 years. 2 I have a pet bird names Joshua, he has white feathers and is super cute! 4 In 2011 I travelled to London to see 4 Hanson shows in a row. 5 During that week in London I also walked barefoot through the city with both Hanson and lots of fans to raise money for kids in Africa. 12 As a kid I had an awesome memory. I could name a lot of facts about world war 2. 17 When my fave band came back together after a split of 10 years, they came to Holland and I waited for them at the airport. Me and some other fans made it to the front page of a Dutch newspaper. 2 What is your favourite music genre? 3 What is your favourite season? 4 Do you have any pet peeves? 5 What is your dream destination? 6 What is your favourite moment of the day? 7 Do you collect anything? 8 What is your favourite quote? 9 Do you have any pets? 10 In what kind of street do you live? Describe what you see. 11 What is, if any, your favourite way of crafting? PS: I haven't been catching up on posts either, your other posts are in my reader and I will get around to them later, just wanted to say thanks! Thanks so much for nominating me!! How fun!